The magnanimous and enlightened Managing Committee of the college is headed by its visionary Chairman, Seth Sudarshan Kumar Modi, who is firmly committed to fulfilling the dreams and ideals of his illustrious grandfather. The college has about completed 52 years, and during this period it has established itself as a leading Educational Institution with the student strength of more than 4300. 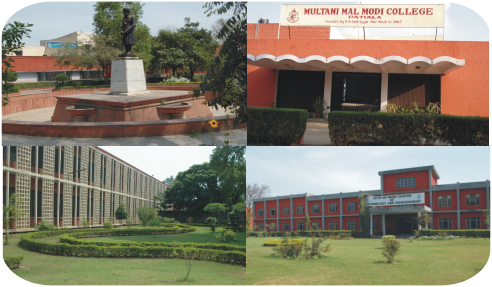 The old students of this college – Modiites – occupy positions of eminence in all walks of life which include academicians, doctors, engineers, administrators, scientists, sportspersons, soldiers, artists, social reformers and politicians.